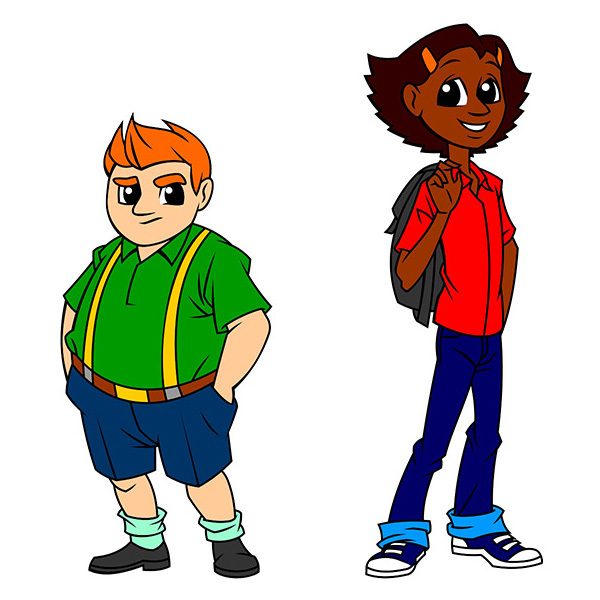 Front side of the cartoon boy and girl. 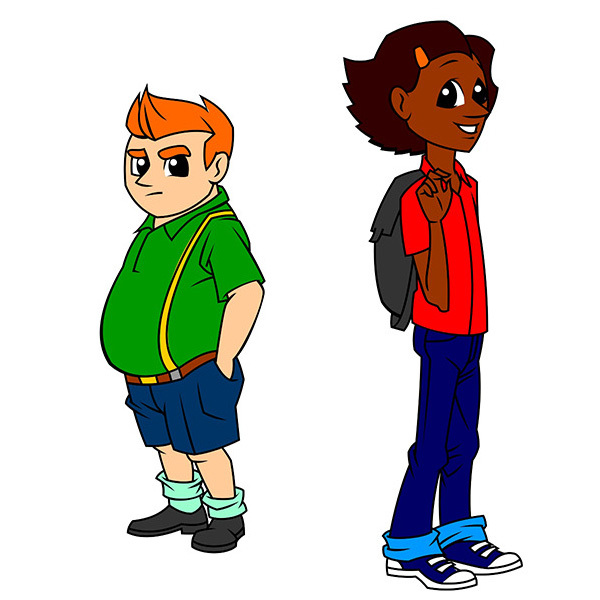 Side profile of cartoon boy and girl illustration. 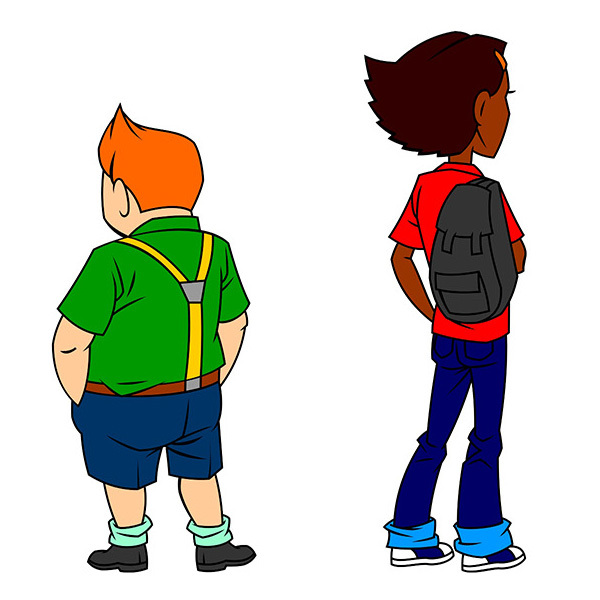 Cartoon boy and girl back view. 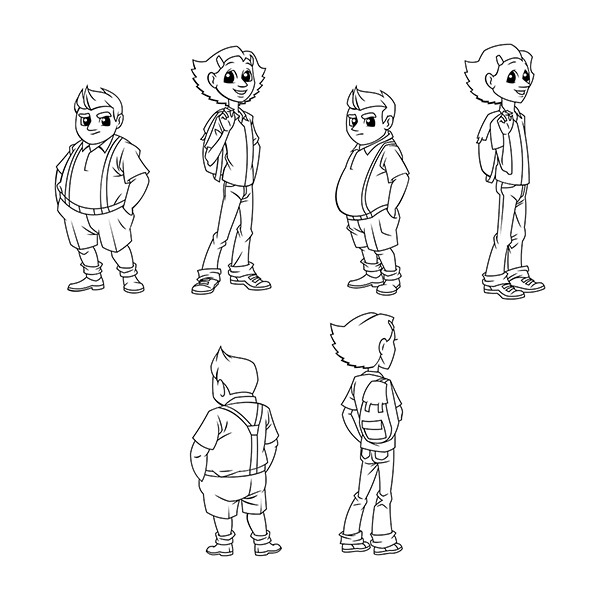 Cartoon outline of the boy and girl turnaround. 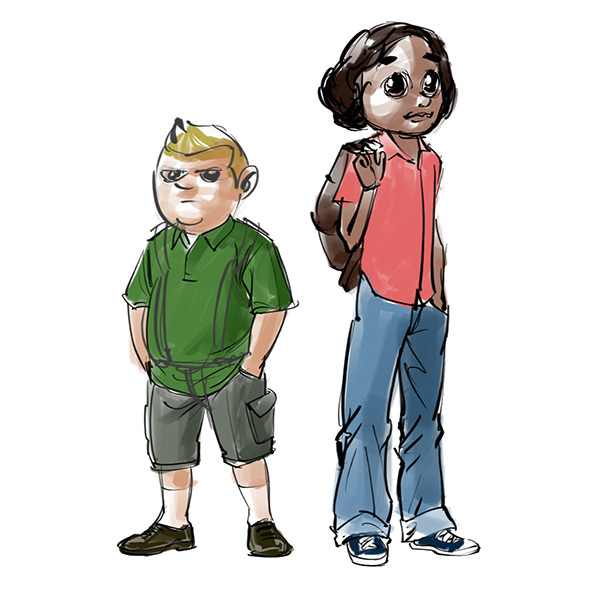 Concept sketch for character design of cartoon boy and girl.